The last has not been heard from Donald Sterlings Alleged mistress, V Stiviano. Remember I wrote about her being attacked in New York a few days ago [V.Stiviano Attacked In New York 1 Day After Video of Her Making Racist Comments Leaked]. 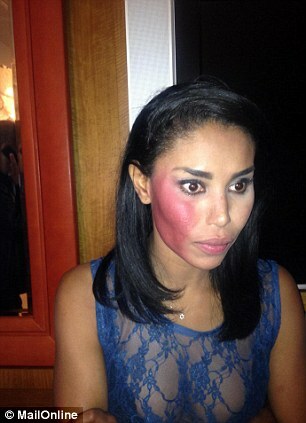 Pictures of her face after the attack has been released by Mailonline and boy oh boy they are bad. 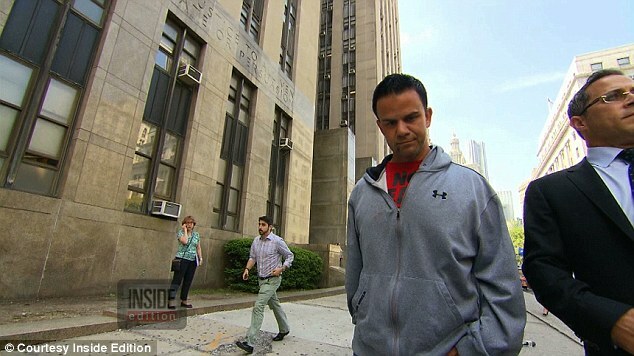 Her alleged attacker, Dominick Diorio is denying that he attacked her. He said he was out celebrating his 40th birthday when the attack was going down. He also claims she is doing it for publicity. errrr ok. I am not sure I buy his story. Like, so he is pretty much telling us that she punched herself in the face to stay famous? sigh! There are more pictures below and her face looked swollen. Dorio was formally charged for third-degree assault and if convicted faces over 1 year in jail. Although the man is denying the attack, her lawyers are telling a different story. 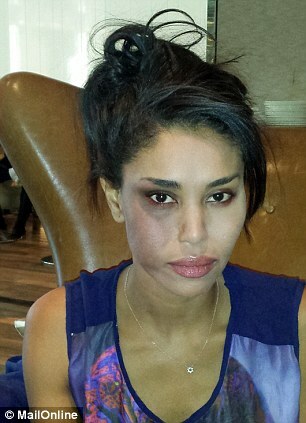 They said Diorio called Stiviano a ‘n***** b****’ and repeatedly punched her in the face as she got into a taxi. Wow!. Before I continue, check out a picture of her swollen face and a picture of her alleged attacker. Like I said before, there is absolutely no excuse for this. Not sure if she is the type to vouch for but I seriously doubt she would attack herself for more publicity. If this man is found guilty, he really should get the maximum sentence possible. You don’t hit a woman like that for no reason. Big Foul! Most crazy women aren’t that crazy, they not going to bruise the whole half of their face for publicity. So are the witnesses lying, too? I believe she was attached, but the first shot is make-up. The bruise is too even. I don’t know if I believe it or not, whether it happened or not it’s not right to assault a person. She is trying to take that 15 seconds and make it 30 lol.